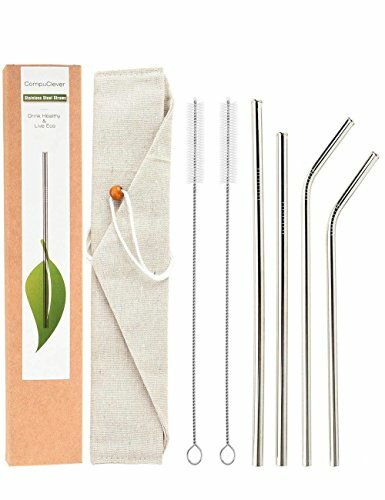 Safe to Environment & Your Mouth: The metal straws are made of eco-friendly metal with plastic free packing, food grade 18/8 stainless steel, no metal taste, BPA free with anti-scratch tips. Easy to Clean & Carry: Dishwasher safe and extra long 10.6" brush cleans the metal straws thoroughly and easily. A cotton pouch comes along and is convenient to carry your straw, fork or spoon. Can be Widely Used: The stainless steel straws are suitable for party, beach, outdoor picnic, travel, BBQ, hiking, boating and a great gift for family & friends.